"Her food is creative, her writing chatty and discursive, and the sheer delight she takes in cooking things which work and give pleasure shines through on every page... 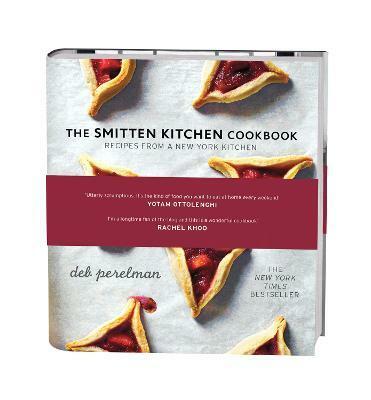 Her attention to detail, partly a response to pernickety questions from readers seeking advice and clarification on her recipes, make her the perfect partner to hand-hold even the most bashful kitchen novice"
Deb Perelman is a self-taught home cook and photographer; and the creator of SmittenKitchen.com, an award-winning blog with a focus on stepped-up home cooking through unfussy ingredients. In previous iterations of her so-called career, she's been a record store shift supervisor, a scrawler of "happy birthday" on bakery cakes, an art therapist, and a technology reporter. She likes her current gig-the one where she wakes up and cooks whatever she feels like that day-the best. The Smitten Kitchen Cookbook is her first book. Deb lives in New York City with her husband and delicious baby son.